Network Functions Virtualisation (NFV) embodies the ongoing transformation of packet infrastructure towards open, standardized, virtualized and lower cost platforms, says Manish Singh, CTO of Radisys. The video is broken into six segments. 0:13 - What is the fundamental promise of NFV? 1:34 - Virtualization in servers is at leat 10 years old. Hasn't this been done already? 2:50 - Which network functions are like to move into the NFV cloud first? 4:39 - What are the implications of NFV for network equipment design? 7:22 - NFV implies Service Providers will build out massive compute infrastructure. Will this be base-matel commodity servers? Or will high-availability telco hardware be retained? 09:13 - What role will Radisys play in building the NFV ecosystem? Where can you add value? The global telecom/datacom equipment and software market grew 19% in 2010, 7% in 2011, and held steady in 2012 at $172 billion, according to Infonetics. The market research firm is now projecting the telecom and datacom equipment and software market to grow at a 4.9% CAGR from 2013 to 2017, when it is forecast to hit $218 billion worldwide. 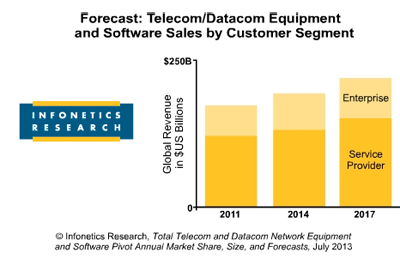 "Even though there's tremendous uncertainty about the health of the global economy and prospects for economic growth in the short term, the telecom and datacom equipment and software market is on track to grow annually through 2017, driven by major network transformations," reports Jeff Wilson, principal analyst at Infonetics Research. Michael Howard, co-founder of Infonetics and co-author of the report, adds, "Asia Pacific took the lead in telecom and datacom equipment spending in 2012, and we expect the region to continue leading at least for the next 5 years, contributing more than a third of global spending through 2017." During those 5 years, Infonetics expects service providers and enterprises to spend a cumulative $1 trillion on telecom and datacom equipment and software. The top 4 telecom/datacom equipment vendors in order by overall worldwide revenue market share are Cisco, Ericsson, Huawei and Alcatel-Lucent. Vello Systems is powering a three-node optical network featuring white-box Ethernet switches in Equinix’s NY5 International Business Exchange (IBX) data center in New York to act as a test bed for software-defined networking (SDN). The Vello Systems OpenFlow-based SDN solution is an enterprise network operating system that unifies the control of the optical, Ethernet and virtual networking planes under common, open software. The VellOS 7.0 OpenFlow-enabled application platform is already used by leading financial institutions. "Customers are looking at SDN as a means to an end, not as an end in itself. Vello understands that customers care about results, including business and operational agility, service velocity, and reduced operational and capital expenditures,” said Brad Casemore, Research Director, Datacenter Networks International Data Corporation. “With VellOS, the company's aim is to ensure that the underlying network infrastructure is aligned with and responds dynamically to customer requirements relating to key application workloads and services." Qualcomm posted quarterly revenue of $6.24 billion, up 35 percent year-over-year and 2 percent sequentially. Operating income: 1 $1.68 billion, up 21 percent y-o-y and down 11 percent sequentially. During the quarter, Qualcomm's MSM chip shipments reached 172 million units, up 22 percent y-o-y and down 1 percent sequentially. March quarter total reported device sales were approximately $56.5 billion, up 18 percent y-o-y and down 8 percent sequentially. March quarter estimated 3G/4G device shipments reached approximately 244 to 248 million units, at an estimated average selling price of approximately $227 to $233 per unit. "We delivered another strong quarter as our Qualcomm Snapdragon solutions were prominent in a broad set of flagship smartphones, and 3G/4G device average selling prices were stronger than expected. We also focused on return of capital to stockholders and increased our stock repurchases and dividends paid during the quarter," said Dr. Paul E. Jacobs, chairman and CEO of Qualcomm. "This quarter, we continued our technology leadership, with our Snapdragon 800 processor powering the world's first LTE-Advanced smartphone. We see expanding opportunities for growth of 3G/4G devices around the globe, driven by the strong pace of innovation in the industry." Crehan Research is forecasting that revenues for server-class adapter & LAN-on-motherboard solutions hitting $2.5 billion by 2017. The report forecasts that shipment growth in combination with an easing of average selling price declines will drive the revenue expansion. 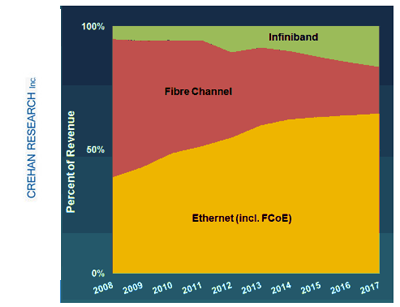 The report also predicts growth in Ethernet (including Fibre Channel over Ethernet) and Infiniband, offsetting a gradual decline in Fibre Channel. "The onslaught of traffic demands on data center networking is not only driving a continual increase in server-class adapter and LOM shipments, but it is also driving the need for higher-speed connections across all major protocols, including Ethernet, Fibre Channel and Infiniband," said Seamus Crehan, president of Crehan Research. "This upgrade to higher-speed connections like 10 Gigabit Ethernet, 16Gbps Fibre Channel and FDR Infiniband – all of which command a price premium while offering a bandwidth discount – helps offset steeper price declines," he added. The report also forecasts a return to stronger growth in the 10 Gigabit Ethernet Adapter and LOM market segment, after some softness. The recent arrival of many new 40GbE- and 100GbE-capable data center switches for core and aggregation deployments will now give customers more comfort in upgrading the server access layer to 10GbE. Huawei reported unaudited revenues of CNY 113.8 billion for the first half of 2013, an increase of 10.8% over the same period in 2012. Huawei expects to generate a net profit margin of 7-8% in 2013. "Our success in H1 2013 was mainly driven by the steady growth of the Carrier Network business, the expansion of the Enterprise business, and the fast growth of the Consumer business, as well as the continuous enhancement of our overall operational efficiency. Revenues and profit are in line with our expectations," said Cathy Meng, Chief Financial Officer, Huawei. "From these positive indicators, we believe Huawei will generate strong performance and profit margins in the second half of this year and are confident that we will achieve our goal to increase revenue by 10%." 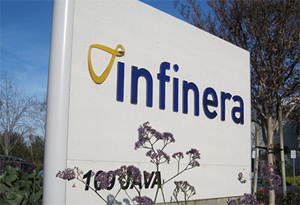 Infinera reported Q2 revenue of $138.4 million compared to $124.6 million in the first quarter of 2013 and $93.5 million in the second quarter of 2012. GAAP gross margin for the second quarter of 2013 was 37% compared to 34% in the first quarter of 2013 and 35% in the second quarter of 2012. GAAP net loss for the quarter was $(10.0) million, or $(0.09) per share, compared to net loss of $(15.3) million, or $(0.13) per share, in the first quarter of 2013 and net loss of $(29.5) million, or $(0.27) per share, in the second quarter of 2012. "We continued to increase momentum in the second quarter, delivering strong revenue growth, improved gross margin, and positive cash flow from operations,” said Tom Fallon, chief executive officer. “Customer acceptance of the DTN-X platform also continues to grow. During the quarter, we received seven new purchase commitments, including three from customers new to Infinera, bringing the total number of commitments to 34 since the platform was introduced a year ago." 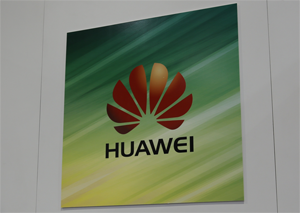 Huawei announced its 100th customer deployment for its 100G technology. The first deployment occurred in June 2011 when Huawei built a pan-European 100G WDM backbone network for KPN International. In 2012, Huawei rolled out the world's longest 100G network (25,000 kilometers across Asia and Europe) for Rostelecom Russia, as well as the world's first G.653 fiber based 100G network for TIM Brazil, a prelude to a wave of 100G deployments in Latin America. Huawei also deployed Africa's first 100G WDM network for Unitel Angola in the same year. The 100G market in China kicked off with Huawei's deployment of a 100G WDM network for the China Education and Research Network (CERNET), and is taking off with Huawei and China Mobile's combined initiative to deploy the world's largest 100G OTN backbone network. Swisscom is mourning the death of Carsten Schloter, its CEO. Police are assuming suicide. Carsten Schloter joined Swisscom in 2000 as Head of Swisscom Mobile and was appointed CEO of Swisscom in 2006. "The Board of Directors, Group Executive Board and the entire workforce are deeply saddened and pass on their condolences to the family and relatives," says Hansueli Loosli, Chairman of the Board of Directors. Deputy CEO Urs Schäppi, Head of Swisscom Switzerland, will take over management of the company ad interim.